“A daily multivitamin is a great nutrition insurance policy." - Harvard School of Public Health. Our multivitamin addresses nutrient gaps, helps with inflammation and overall health. Food preferences, allergies, prescription medications, digestion issues, and age can impact your nutritional status. Our vegan multivitamin is highly bioavailable to help you fill in diet gaps and achieve a healthy nutrition profile while supporting your immune system. Our multi contains a variety of nutrients that are different from other multivitamins on the market: Vitamin K2 which has been shown to be more beneficial in bone and artery health than the standard vitamin K1; methylated folate, Quatrefolic®, may help support heart health and mood. 2. Beulens JW, Booth SL, Van den heuvel EG, Stoecklin E, Baka A, Vermeer C. The role of menaquinones (vitamin K2) in human health. Br J Nutr. 2013;110(8):1357-68. 3. Scaglione F, Panzavolta G. Folate, folic acid and 5-methyltetrahydrofolate are not the same thing. Xenobiotica. 2014;44(5):480-8. 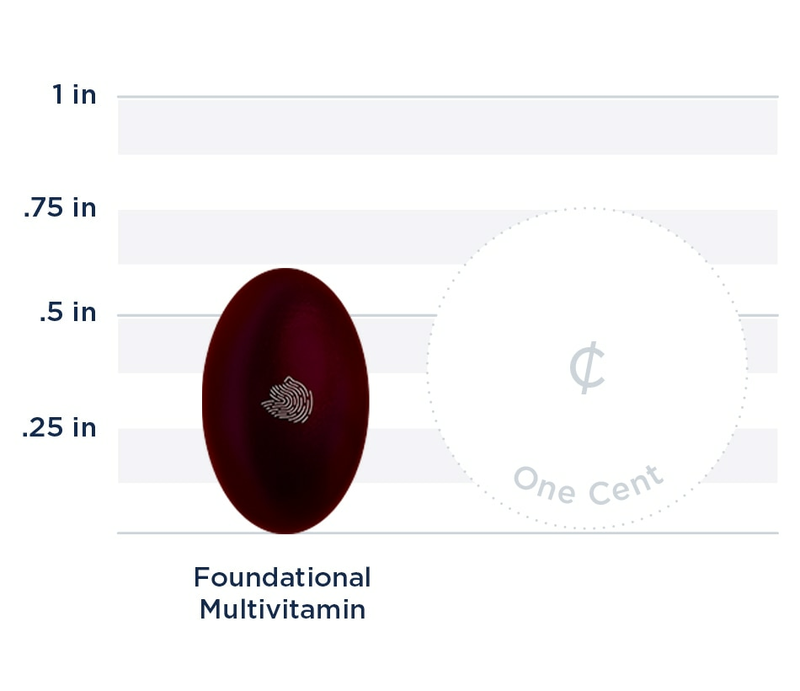 Below we've broken down the main functions of our Foundational Multivitamin and the benefits it can provide. Research shows that periodic nutritional gaps are common among the general population due to diet or other factors such as age. Supporting your diet with a bioavailable multivitamin can benefit your health and potentially prevent nutrient gaps from occurring. Our methylated folate Quatrefolic® is the active form identical to what is found in your cells. Research has found it to be the optimal version for brain, heart, and mood health.